I am the owner of "Accurate Appraisal Company", a real estate appraisal firm in business since 1999. I specialize in residential real estate appraisals. The process of appraising starts with the inspection of the property, I measure the exterior, and inspect the interior of each room, making notes about amenities and condition. Back at the office, I sketch the improvements on a CAD program, search for comparable sales, and develop an opinion of value. My reports are 15-60 pages long. I need a new logo that would be appropriate for use on our website (www.orderappraisal.net), and could be used in print advertising and on my business card. The design must have the name of the company "Accurate Appraisal" incorporated, and the word "Company" can be left out, shortened to "Co" or completely spelled out depending on what looks best in your design. I do insert my current logo into my reports as well and would continue doing so with the new logo. Also, I need a business card design, letterhead, and envelope. I'm not sure what format I need for the logo. I know for the business card I probably need EPS for the printing company. My clients are primarily banks, mortgage companies, and other lenders that need my services to evaluate residential real estate as collateral for a new purchase, or refinance mortgage loan. My logo will be primarily seen by local lenders and members of the public who visit my website, and on my business cards and occasional print advertising. I also accept assignments from individuals who need a professional, well supported valuation of real estate for a variety of purposes including estate valuation, divorce, tax appeal, prospective selling purposes, to evaluate a potential purchase, PMI removal, etc. I also will be having new business cards printed with the logo, which will be presented to homeowners at the time of inspection of the property when working for their lender. As an appraiser, my duty is to be complete, thorough, and accurate in my analysis of the various factors that affect the market value of a property that I am appraising. The design needs to convey a level of professionalism and trust that consumers of my services expect from the person that they are entrusting with their most expensive financial asset. 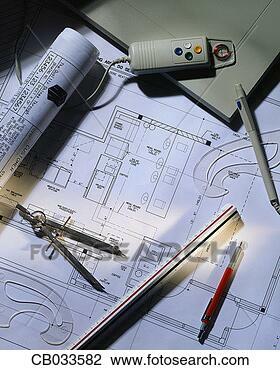 My idea is to incorporate a drafting element into the design such as a compass, protractor, t-square, pencil, etc. I also like the CAD elements in those pictures. A good example of this is on http://www.era.com/. I've browsed logos on logopond.com and below are some that have some elements that I appreciate, though there is nothing on there that really captures the look I'm trying for. The CAD elements may be too "busy" for the logo design itself, if they are, maybe they could be tied in on the business card, letter head, and envelope design? Or possibly CAD elements or drafting elements can be incorporated into the stationary in the form of a watermark?